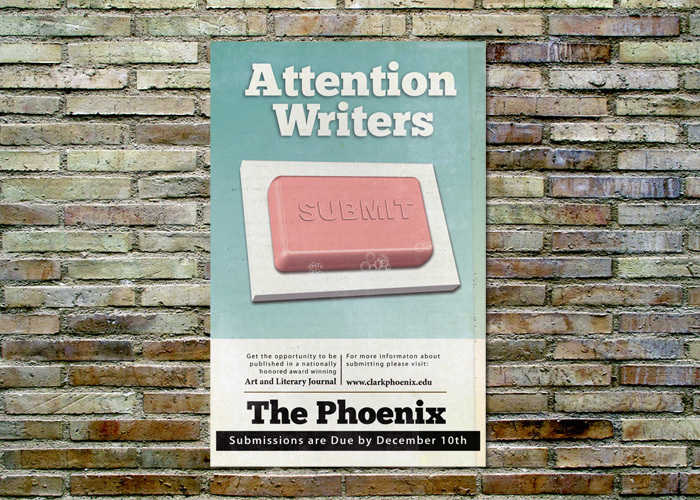 I was assigned to create eye catching posters for The Phoenix, Clark College’s award winning art and literary journal. 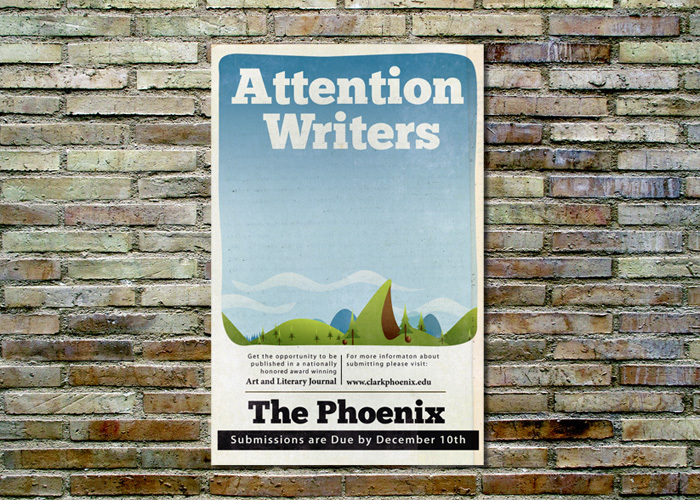 The brief was open–all that was required was that the posters be eye catching. I chose to create colorful posters that depicted books that had been made into movies. Movies I used included Fight Club and Into the Wild. I chose to make the posters 11×17 inches so they could easily be printed by staff as needed.